Dark ecology is one of a series of watercolours produced using chunks of ancient glacial ice that were fished from the sea off the coast of Greenland. 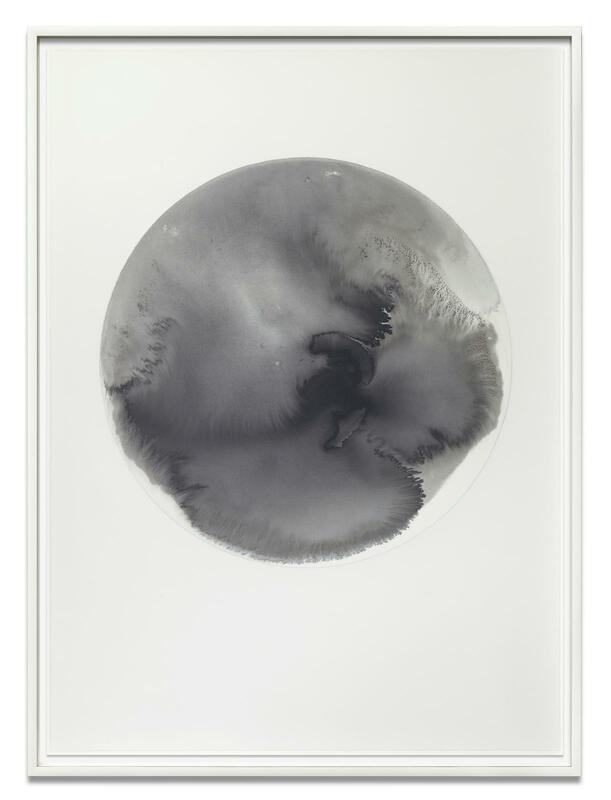 A piece of ice was placed on a circle defined by a thin wash of black ink; as the ice gradually melted, the water displaced the pigment, creating organic swells and fades within the established tone. The subtly fading blue of the background results from the repeated application of thin, transparent layers of pigment. Employing chance and natural processes, these watercolours are experiments that attempt to harness the spontaneous behaviour of natural phenomena as active co-producers of the artwork.